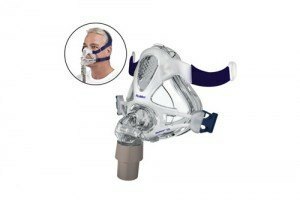 ResMed’s AirFit™ P10 nasal pillows mask is our quietest mask yet! 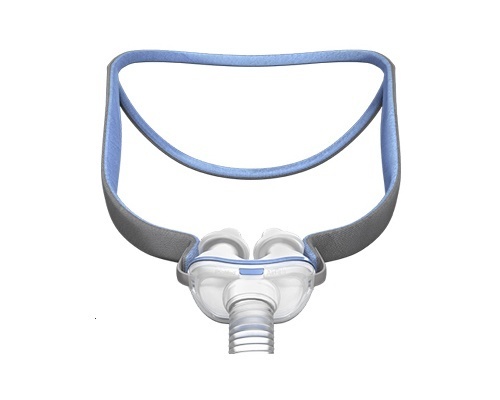 Bringing you the latest technology in sleep apnea treatment, the AirFit P10 retains the proven performance and reliability of the popular Swift™ FX mask series, but is approximately 50% quieter and 50% lighter. A recent clinical study found that patients wearing the AirFit P10 slept more than 40 minutes longer per night. Sizes included: small, medium large. Providing a stable seal and a high level of comfort, the AirFit P10 is also easy to use, with just three pieces for quick assembly and cleaning. The mask’s innovative QuickFit™ headgear is unobtrusive yet snug, giving you a real sense of facial freedom while you’re wearing it. That means you can easily shift to your favorite position without interrupting your nightly sleep apnea therapy. Ultra-light. Designed to be as comfortable and unobtrusive as possible, the AirFit P10 is also 50% lighter than leading nasal pillows masks. Snug and stable. 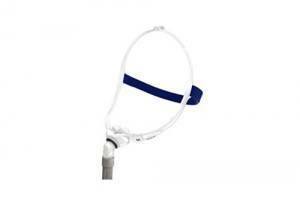 The QuickFit™ auto-adjusting headgear with split-strap design allows for adjustability and stability. Comfortable. 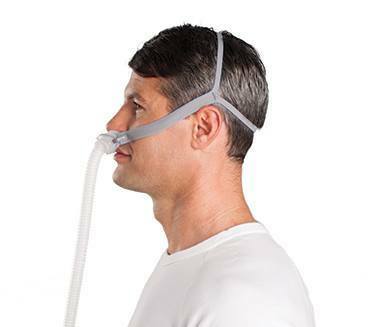 Dual-wall nasal pillows with trampoline action let you move around comfortably without compromising the mask’s seal. Easy to use. 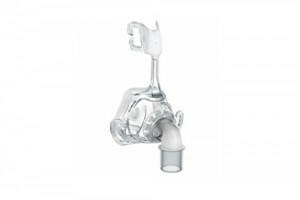 Key-clip nasal pillows seal on contact with simple one-click action that makes assembling and cleaning the mask fast and easy. Each of the four pillow sizes is a different color for easy identification: pink (extra small), clear (small), gray (medium) and blue (large). Easy to wear. The QuickFit elastic headgear is auto-adjusting and simple to fit, and the mask easily slips on and off without any extra steps.